Find answers to some of your most frequently asked questions, below. Don't see your question/answer below? We offer free shipping on all orders. Please visit our shipping page for transit times and more information. Please visit our returns and exchanges page for complete information. In the top navigation bar, hover over MY ACCOUNT and the click TRACK MY ORDER. Yes. However, you will need to empty the trash that's in them and then place them in your recycling bin. If you're looking for bags for your recycling bin, please visit our recycling bags page . Please visit Plasticfilmrecycling.org and enter your zip code to search for a drop off location in your area. What is the correct size bag for my can? The goal in finding a bag that fits correctly is to find one that will fill out the can comfortably without falling in or stretching too tightly around the top. Ideally you will want a bag that hangs over the top of the can about 4-6 inches. If you know the gallon size of your can, the best place to shop from is our Shop By Gallon page. You may recognize your can from the illustrations as well. Just remember, it's usually better to err on the side of too big rather than too small. What’s the difference between trash bags, garbage bags and can liners? In reality, they all refer to same product. The use of one term over the other simply depends on who you are. If you're a homeowner, you likely use the term "trash bags", or "garbage bags", while major companies and industrial institutions tend to use "can liners". Interestingly, in Great Britain trash bags are referred to "bin bags" or "bin liners". How thick should my bag be? That depends entirely on the type of trash you will be filling the bags with. For lighter, less bulky garbage, such as trash from bathrooms or a desk-side bin, a thinner (high-density) bag is sufficient. For heavier, bulky or sharp garbage, as is common in kitchens or construction sites, a thicker (low density) bag is a good choice. Bag thickness is measured in mils and microns. Most trash bags you'll find in the store range from 0.7 - 1.0 mil in thickness. Thicker bags, like the bags contractors use, are usually 3.0 mil or more in thickness. The tables below show the maximum load that the bags can handle based on their thickness. Please keep in mind that the max load is only accurate if you are using the right kind of bag for the right kind of trash. For example, high density bags cannot handle trash with sharp edges. What is the difference between “high density” and “low density” trash bags? High density (HD) bags are thin, crisp feeling, often clear bags that offer a cost-effective option. They are thinner than linear low density bags and are not as puncture resistant, yet they can carry very heavy loads. High density bags are ideal for office and bathroom waste, high traffic areas as well as trash cans located in public areas where sharp, heavy objects are not usually deposited. High density bags are also perfect for storage of clothes, linens and dry goods. They are not recommended for use in kitchen or objects with sharp edges. High density bags are measured in Microns. Low density (LD)), or linear low density (LLD) bags are stronger, thicker and more resistant to punctures and tears than their high density counterpart. Low density bags are ideal for kitchen waste, construction sites or trash that includes glass, metal, wood, cardboard or irregular shaped items. The thickness of low density bags are measured in mils. What’s the difference between mils and microns? A mil is equal to one thousandth of an inch (0.001). Mils are used to describe the thickness of low density bags, which can range from 0.7 to 6.0 mils. The mil count for standard trash bags found in stores ranges from 0.7 to 1.0 mils. For extremely heavy or large amounts of trash, choose a bag with 3.0 or higher mils. A micron is a unit of measure equal to one thousandth of a millimeter (a standard sheet of paper is 100 microns thick). Microns are used to describe the thickness of high density bags, which can range from 6.0 to 20 microns. Where are your bags made? Our bags are currently made in the United States and Overseas. We are proud to stand behind and support our high quality products. Do your bags come on rolls? All of our High Density Liners come on rolls. Our Low Density Liners currently come packed flat in boxes, except for our 42 Gallon Contractor Bags and 65 Gallon Extra Heavy Trash Bags. If you would like a specific bag on rolls, please let us know and we will look into carrying it for you. Visit our Samples Page to get a sample sent to you of any one of our trash bags. Are the bag dimensions listed on our site in inches, centimeters or feet? What kind of seals do your bags have? Most of our low density liners have a gusset seal. All of our high density liners have a star seal. We also have some liners with a flat seal. Please contact us for more details. My box says 23x10x39. Is this the same as 33x39? Can I get custom printed trash bags? Yes, you can! The best way to receive a quote is to contact us so that one of our customer service agents can get the exact specs you're looking for. Are your bags available in stores? At this point, our products are only available through our website; but remember, any order over $50 ships for free. Plus, our orders are shipped fast, so our bags will be at your doorstep in no time! Where can I find trash bags for a 21 gallon trash can? 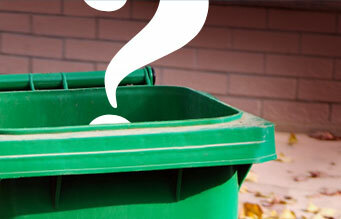 Do you carry trash bags for motion sensor trash cans? Yes. First, find the gallon capacity for your motion sensor trash can, then match it up with our Shop by Gallon Page. Most motion sensor trash cans use a 20-30 gallon garbage bag. How can I figure out which bag I need with the diameter of my can? The first step would be to calculate the circumference of your can by using the simple formula of diameter x 3.14 (pi). Once you have the circumference, you'll need to divide it by 2 in order to get the width of the bag you will need. For example: Your can has a 30" diameter. 30 x 3.14 = 94. 94 divided by 2 = 47. Therefore, you are going to need a bag that is at least 47 inches wide.